The police prosecutor, Inspector, Sani Musa, told the court that on February 23, 2019 during the just concluded presidential election, one Sale Aliyu of Kudun village, Sumaila local government area, was found causing confusion at Kudun polling unit by collecting voters card from women and issuing them Community Reorientation Committee (CRC) Women’s programme forms with the intent to deceive them, an act which might have caused breach of public peace. The accused person pleaded not guilty to one count charge of inciting public disturbance, an act contrary to section 114 of the Penal Code Law. 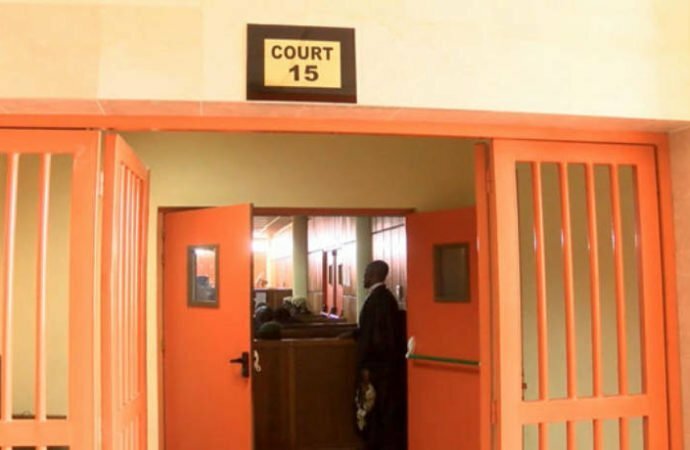 The presiding judge, Chief Magistrate Ibrahim Khalil Mahmood, ordered that the accused to be remanded in prison custody and adjourned the case to March 13, 2019. Meanwhile, another man has been remanded in prison custody for criminal conspiracy, illegal possession of dangerous weapons, acts likely to cause breach of peace, which are contrary to sections 97, 114 of Penal Code Law. The prosecutor Inspector Sani Musa told the court that on February 14, 2019, Divisional Police Officer (DPO) of Garo division and his team, while on surveillance patrol at Garo town, intercepted and arrested one Ya’u Ibrahim, who was found in possession of 274 dangerous sticks (Gora) which were likely intended to be used to commit an offence. The accused person denied the content of the Police First Information Report. The presiding judge Chief Magistrate Ibrahim Khaleel Mahmood ordered that the accused to be remanded in prison custody and adjourned the case to March 13, 2019.